Established by Royal (Amiri) Decree in July 2003, Etihad Airways started its operations in November, rapidly progressing into one of the fastest growing airlines in commercial aviation history. With its main base at Abu Dhabi International Airport, the airline boasts a fleet of 119 passenger aircraft (plus 10 freighters) that handle in excess of 1,000 weekly flights reaching 90 destinations in Africa, Asia-Pacific, the Americas, Europe and the Middle East. Sometimes people misspell Ethiad Airways and refer to it as Ethihad or Ethiad. 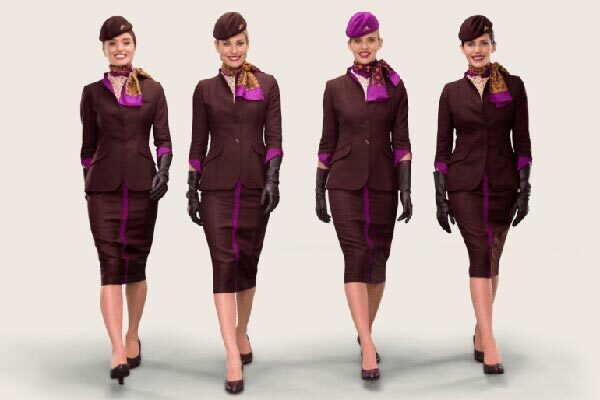 No matter which way we look at it Etihad Airways offers world class service and comfort. Etihad has 47 code-share agreements that include South African Airways, Air Canada, Air Europa, Air France, Virgin Australia and American Airlines. The airline launched its frequent flyer programme, Etihad Guest in August 2006. Since its inauguration in 2003 Etihad has achieved numerous accolades with the most recent being Air Transport Worlds 2016 Airline of the Year award, announced in December 2015 at an A380 launch in New York City. Etihad Airways offers flights to and from hundreds of destinations worldwide. Flight prices depend entirely on demand and time of year. In the table below we have highlighted some of the more sought after routes and the cheapest prices available on those routes. Classes of travel on Etihad flights comprise The Residence, First, Business and Economy. The Residence, for the ultimate in luxury air travel is designed for two guests and is the only three-room suite on a commercial airline that comprises a living room, separate bedroom and an en suite shower. The living room has a deluxe double-seat leather sofa, two dining tables to enjoy a scrumptious meal specially prepared by the in-flight Chef. 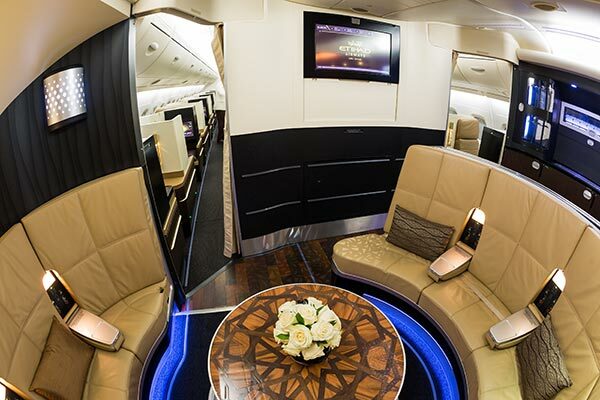 Guests have a 32-inch flat-screen television with headsets that eliminate noise, a VIP Travel Concierge service that covers all needs from the time of reservation until the final moment of the guests Etihad experience. First Class’s transformation with First Apartment affords guests with more than a seat but a large leather armchair and a separate 6 foot bed! First Suites on board the 787 Dreamliner provide guests comfy leather seats that convert into 6 foot full flat beds. Guests receive amenity bags filled with an array of various items and have on-demand entertainment via 23 or 24 inch flat screen televisions with noise elimination headsets, a range of connection ports and mobile or Wi-Fi connectivity (on selected flights). Business Class guests have seats that recline into full-flat beds with adjustable headrests and back support while those flying in narrow-body aircraft enjoy reclining seats with adjustable headrests, footrests and lumbar support plus sufficient legroom. Additionally, on the A380s and 787 Dreamliner’s, Business Class offers the Business Studio with 22-inch width seats that convert into full-flat beds up to 6 feet including unique forward and rear facing seats, allowing for increased personal space plus an in-seat massage function and personal lighting. 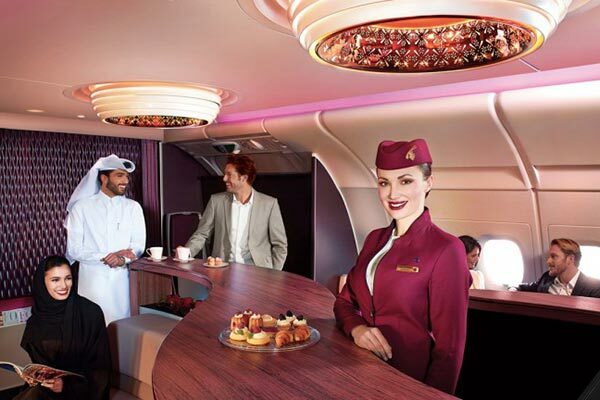 On longer flights guests have an All Day menu with plenty of delectable options and a superb choice of on-demand entertainment on 10.6 to 18.5inch touch screen televisions with noise-elimination headsets and connection ports for keeping in touch. 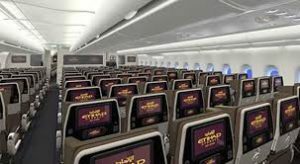 Economy Class guests relax in Etihad’s Airways flights Economy SmartSeat comprising a 32-inch pitch that reclines six inches with a headrest and adjustable back support for further comfort. Entertainment and connectivity is on the seat-back with the handset and ports in easy reach. Guests receive full-sized fleece blankets, special pillows that on long flights convert into neck pillows and there’s an extensive range of on-demand entertainment to choose from via a 10.6 or 11 inch touch screen television. The airline welcomes children passengers including those that fly as unaccompanied minors (UM). Minors younger than five years are not permitted to travel alone and must have someone 18 years or older fly with them. The age category for UMs is aged five, not yet having turned 12 years with their fare being equivalent to that of an adult. Children 12 years and older are permitted to travel alone or if requested, may make use of the UM service. Parents wanting to use the UM service should check online for required documentation and time-frames. Cabin crew ensure UMs are comfortable and happy with their goody bag of games, entertainment, refreshments and meals. Travellers flying from South Africa on Economy Value & Economy Freedom Fare Choices are allowed two bags with weights not exceeding 23kg each. Those travelling on Economy Breaking deals and Saver Fare Choices are permitted one bag not exceeding 23kg. All Fare Choices in Business or First Class permit passengers two bags with weights up to 32kg each. Business and First Class passengers are allowed two bags with a total weight not exceeding 12kg while those travelling Economy Class may take one bag weighing no more than 7kg. Infants are allowed one bag weighing up to 5kg. Etihad Guest members enjoy exclusive luggage benefits including other rewards. Etihad Airways welcome unaccompanied minors and will take extra special care of your child ensuring they’re supervised, safe and happy at all times. Minors aged five who have not yet turned 12 years are permissible to travel as unaccompanied minors. Those 12 years and older may travel alone while any minor under the age of five must have an accompanying adult 18 years or older. The fare for an unaccompanied minor is equal to that of an adult and parents must complete the required documentation and ensure they receive confirmation for their unaccompanied minor/s within 24 hours of flight departure. Unaccompanied minors need to be checked-in two hours prior to flight departure. Your child will receive a goody bag with games plus an assortment of in-flight activities for children including tasty meals and refreshments. Guests flying in Business and First Class may take two bags with a maximum weight of up to 32kg each. Passengers travelling on an Economy Value & Freedom fare are permitted two bags with weights not exceeding 23kg each while those with a Economy Breaking Deal and Saver fare are allowed one bag weighing no more than 23kg. Infants may take one bag weighing up to 23kg on the piece concept while on the weight concept one bag weighing up to 10kg is permissible. Excluding Canada, the US and Brazil, maximum dimensions for each item are 45x72x90cm and may not exceed 32kg in weight. Prices range from USD 105 for a second bag up to 23kg (Economy Breaking Deals & Saver Fare Choices) to USD 140 for three to six bags up to 23kg (all Fare Choices) when paying online, less expensive than the Contact Centre which is also less than at the airport.